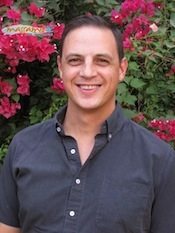 Guest Blogger Benjamin McDonald, MBA is CEO of Massamio.com, an elegant, easy to use online directory, website, and booking service for independent massage therapists. 2) What are my current skills? In order to create a helpful and effective practice statement, try concentrating on aspects of your treatment that make you a unique therapist. Start with yourself. What are your skills? Are you a new therapist with mostly Swedish massage training? Or are you a therapist who has practiced for over 10 years with countless CEUs behind your belt. Either way, your practice statement should accurately articulate your skills. 3) Who is my current target population? This can be fun. Think about what kind of clients would you like to have--your ideal client. Are they people who have common problems, like cancer patients, athletes, or stressed out professionals? How frequently do you envision yourself seeing them? Each population has a different set of needs, and will cause your to conduct your business differently in order to meet their needs. 4) What is the benefit that my client can expect to get from my treatment? What is the most important benefit your clients are seeking in treatment? Is it injury specific, general pain or stress? Maybe just to relax? Try to illuminate a benefit that causes your potential client to recognize massage therapy as more than a luxury; you want to hit on how their life will be better. “I’m an athletic performance enhancer, providing elite athletes with sports massage therapy, helping them recover faster and reach peak performance." The key to helping a potential client understand if you are a good match for them is by clearly stating your specialty or focus. Many massage therapists fear that by being too specific, they will turn off potential clients that they could effectively treat. This couldn’t be further from the truth. More than anything, clients are seeking reasons to TRUST that you are a good match for them. By reducing your scope of practice, you begin to build trust with potential clients by letting them know that you are not all things to all people. Trust builds long lasting client relationships, and successful independent massage businesses. What could be better than that? Let us know what your elevator speech is in the comments below.